A thought about what’s on my mind or heart, with a Bible verse, a reading or maybe a inspirational video, a devotion, a worship song or two and my prayer for today. 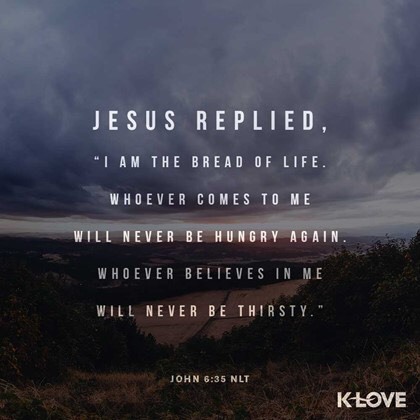 Jesus replied, "I am the bread of life. Whoever comes to me will never be hungry again. Whoever believes in me will never be thirsty." This entry was posted on September 20, 2018 at 6:34 am and is filed under One Walk. You can follow any responses to this entry through the RSS 2.0 feed. You can leave a response, or trackback from your own site.